In wake of Monday’s tragic tornado fatalities in Montana, I got curious and did a search for significant August tornadoes over the last hundred years. 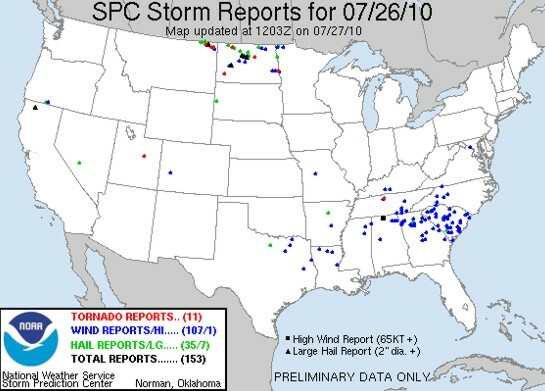 What I found was pretty interesting, with some deadly and very costly August tornadoes over the years. By this time of the year, it’s common for people to forget about tornadoes and tornado safety. It is true that the season has already peaked, but it’s always important to remember that tornadoes can occur at any time of the year. Plus, we are still in the season when tornadoes are not uncommon. Since we are about to say goodbye to July and welcome the month of August, I thought I’d come up with a list of the most significant August tornadoes for both the U.S. and Canada. I feel it is my professional responsibility as a meteorologist to educate the public about tornadoes whenever I have the opportunity. Dozens upon dozens of people die every year from tornadoes, but those numbers should be much lower. With the advancement of radar technology and computer models, combined with the expertise and experience of trained meteorologists, annual tornado fatalities have been reduced from the 100s to the dozens over the last 50 years due to advanced tornado warnings. But the problem today isn’t about the warnings, it’s about the human response. If people don’t act, the warning serves no purpose. I can’t force anyone to head to the basement or bathroom when a tornado warning is issued. That’s the responsibility of each individual. The only thing I can do is spread the knowledge and expertise I’ve learned as a meteorologist, and as a storm chaser, over the last ten years. The rest is up to you when you hear the warning. Just one more thing to clear the air before you read about the August tornadoes from the past. I would like to state the definitions of a tornado watch and a tornado warning. Many people still don’t understand the difference between the two, and why would they? Most people don’t receive proper severe weather education in schools earlier in life. And most TV weatherman don not focus on educating the public on this sort of thing, at least in the more populated areas. So hear you go. Thanks for reading, and feel free to ask me a question if you have one. Tornado Watch: Conditions are favorable for the development of tornadoes in and close to the watch area. Tornado Warning: A tornado has been sighted or indicated by Doppler radar. Take shelter immediately. 1) Doppler radar indicated: A thunderstorm capable of producing a tornado has been detected by doppler radar, and could produce a tornado at any time. Take shelter immediately. 2) Confirmed Tornado: A tornado has been spotted by a storm spotter or law enforcement. Take shelter immediately. Tornado: F5 – The only F5 to ever strike the Chicago area. This tornado swept right through the heart of Louisville, Kentucky, destroying a church during Sunday services. According to local papers, twenty five people inside the church were killed, including many woman and children. 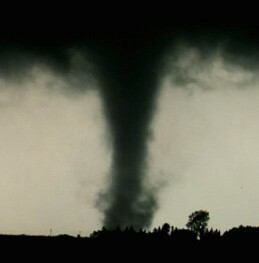 The tornado moved on to the center of town, demolishing many local business and other structures. Monday’s tornado in Montana was rated EF3, with winds in the 135 to 165 mph range…. Even for video shot using a cell phone from what looks like at least 25 miles into the distance, that tornado looks impressive. A tornadic supercell moved through a ranch a few miles west of Reserve, Montana Monday evening around 7:30 p.m. MDT, killing two people and injuring one. The storm formed around 4:30 p.m. on the U.S./Canadian border in northeastern Montana. It moved southeast for over two hours before the first tornado was reported by Sheridan county dispatch well west of Reserve at 7:30 p.m. The storm weakened as it crossed into North Dakota later Monday evening. The image above shows the supercell moving southeast across northeastern Montana just before the first tornado report was received by law enforcement. The storm has a pronounced hook echo, which is one indication on radar of a possible tornado. However, the storm formed hours earlier along the U.S Canadian border in northeastern Montana. The supercell looked very impressive for about an hour as it moved southeast through rural areas of Montana, and may have produced tornadoes that simply were not reported well before it came anywhere close to Reserve. This tornado reminds all of us that violent, deadly tornadoes don’t always occur in the classic or more popular chase regions of the Great Plains. While some chasers, including myself, do consider northeastern Montana an acceptable area to chase, others probably don’t, and may have never considered that area prone to tornadoes. This time of the year, tornadoes are not uncommon from Montana, the Dakotas into Saskatchewan and Manitoba, CA. In fact, some chasers that are not able to chase during May and June venture into the Canadian prairies in July in search of that elusive tornado. 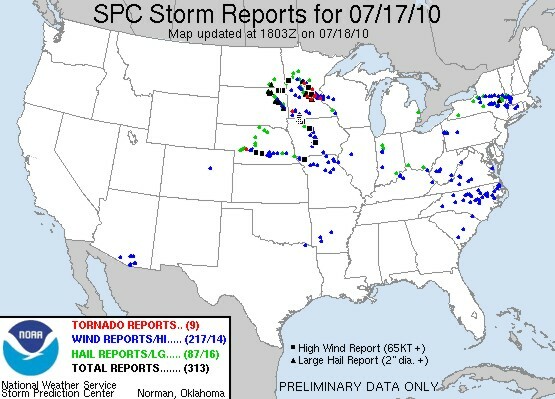 Storm reports from the SPC valid July 26. I took a trip to Mystic, CT today. 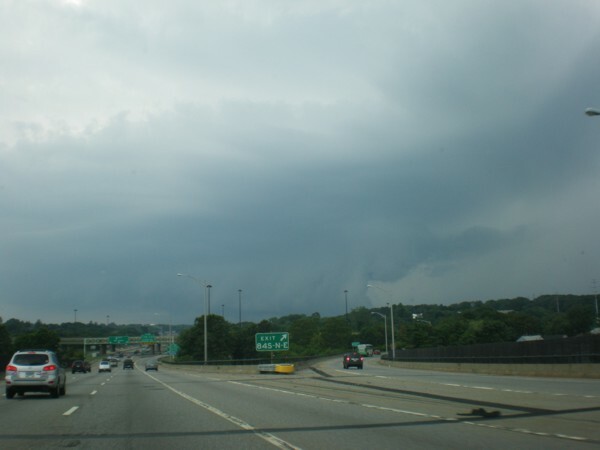 On the way back to Shelton while driving west on I-95, not too far past New London, we came across a strong thunderstorm. It had an ominous looking shelf cloud. Below are some pictures from the car..I know, I know. This is kind of a sad thing to be getting excited about, but I live in Connecticut now and this is all I have! Tropical Storm Bonnie is hanging on to tropical storm status by a thread as she approaches south Florida this morning. Wind shear continues to takes it’s toll on her, and maximum sustained winds are a generous 40 mph. Bonnie is moving very quickly to the west-northwest at nearly 20 mph. I know that doesn’t sound fast, but most tropical systems move in the 8-13 mph range, if not slower, not close to 20 mph! Her fast motion is about the only thing that will help her not degenerate back to tropical depression status as she passes over or just south of south Florida. At this point it’s safe to say that any impacts that Bonnie will have on the oil spill will be minimal. In fact, I’m beginning to question if Bonnie will even be a tropical storm when she passes over the oil in the north central Gulf this weekend. Wind shear just isn’t going to weaken all that much. 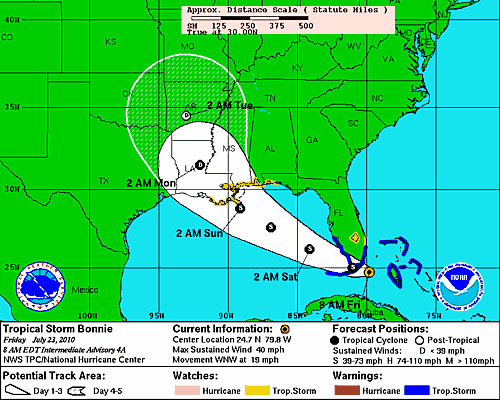 Also, Bonnie is moving so fast she won’t have as much time over the warm Gulf waters as previously thought. The only real problems are already known. That would be the delay in the cleanup efforts along parts of the Gulf coast, and BP having to delay efforts to dig a relief well. After the 5 p.m. advisory, the National Hurricane Center issued an update to upgrade the depression to Tropical Storm Bonnie. The storm is still expected to track across the central Gulf of Mexico. Unfortunately, it’s going to come dangerously close to passing right over ground zero of the oil spill this weekend. It is my hope that this storm doesn’t spread any of the oil or airborne toxins to the Texas/Louisiana coast, or even inland. That brings up a really good question. Has anyone done a study on how quickly the airborne toxins associated with oil disperse into the air over time and distance? It would be awesome if someone came up with a method to determine how these toxins may actually spread into the air over time with various tropical storm and hurricane strengths and sizes. Surely whatever airborne chemicals that are advected from the oil spill over the Gulf become diluted in the atmosphere over time. I’m sure high humidity levels, like what is present over the Gulf of Mexico, would also make a difference. But, I don’t know what it would really do. Hence the need for a study. For now anyways, I hope this storm doesn’t cause too many problems given it’s lack of intensity. Though I still worry what kinds of toxins could possibly be delivered in the form of rain into the Texas and Louisiana coast from Tropical Storm Bonnie. I could very well be possible that the rain is a non issue, and the real questions come from the air alone. But once again, a study on the impacts of tropical systems over a oil spill would be awesome to see right now. 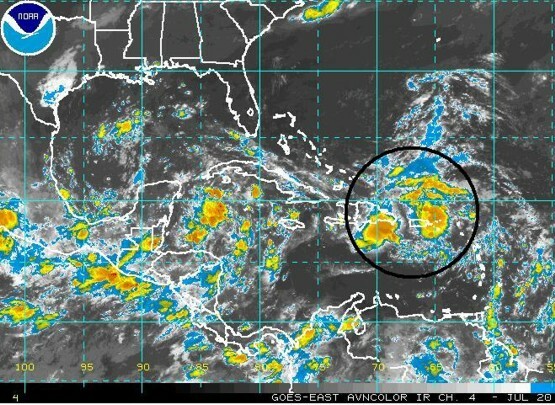 Finally, Tropical Depression Three develops over the southeastern Bahamas………. The National Hurricane Center declared the disturbance in the southeastern Bahamas Tropical Depression Three this morning at 11 a.m. EDT. All week, the tropical wave/disturbance has been battling wind shear. But today, it finally managed to develop a closed low level circulation, which is the main criteria needed to become a depression. Fortunately for the Gulf of Mexico, wind shear isn’t going to relax enough over the weekend to allow this system to strengthen to anything more than a tropical storm. But still, it forces cleanup efforts across parts of the Gulf coast to shut down for a few days, and that’s bad news. Although, it’s not out of the realm of possibilities that Tropical Depression Three does become a minimal hurricane for a brief time over the Gulf. But, given wind shear and African dust currently over the Gulf, that scenario seems highly unlikely. 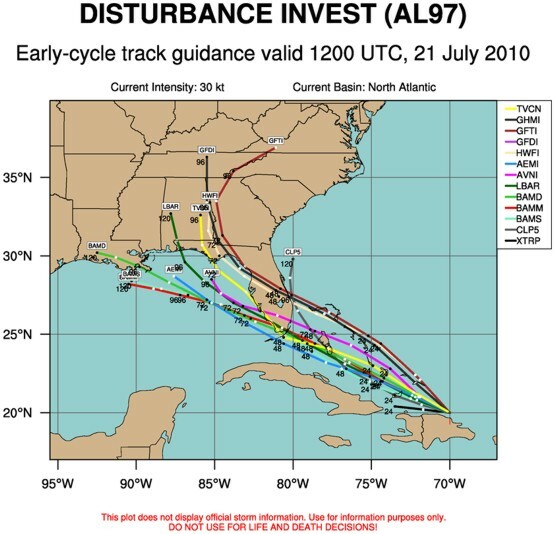 The graphic above shows the tropical models for TD#3. Boy, they sure made a big shift to the west since yesterday! It makes sense, too, considering the strength of the ridge global models indicate over the southern U.S./Gulf this weekend. Plus, the global models are the ones which have shown a track across parts of the Gulf, especially the central Gulf, all along. They normally have a better handle on things before a storm develops. The disturbance we are monitoring is located just north of Hispaniola, approaching the far southeastern Bahamas. Wind shear remains the main inhibiting factor for development. But, computer models suggest the shear will relax enough over the next day or two to allow for tropical development as the system gets closer to Florida. Although, there probably isn’t enough time for this system to become much more than a weak tropical storm before it impacts Florida on Friday and Saturday, especially if wind shear takes longer than forecast to weaken. Since yesterday, more tropical models track this system into the Gulf of Mexico. Yesterday, I mentioned that the global models usually have a better handle on tropical systems before they actually develop. 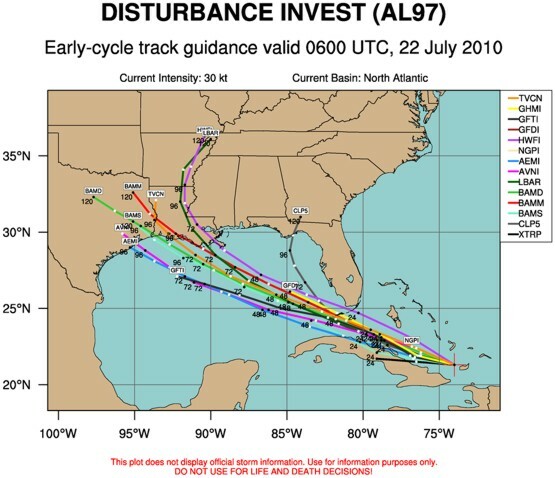 Some of them continue to show a track into the Gulf, even the central Gulf. 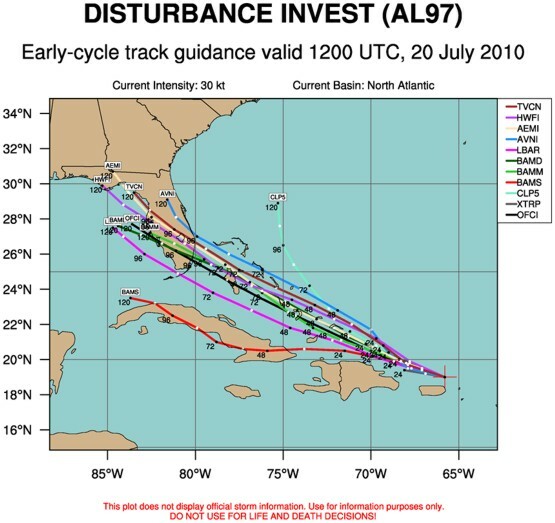 So, we’ll have to see if this westward shift we are seeing in some of the tropical models is a meaningful change, or if it’s just a temporary shift in model guidance. In the meantime, a storm has to actually develop, or talking about model track forecasts is a moot point! A vigorous tropical wave stretching from Hispaniola to Puerto Rico has the National Hurricane Center’s attention. A strong tropical wave is producing a large area of showers and thunderstorms from the northeastern Caribbean to north of the islands. According to the National Hurricane Center, environmental conditions are only marginally favorable for development, but may become more favorable over the next couple days. The graphic below displays the tropical model guidance for this system. Most models track this system toward Florida and the eastern Gulf, with one taking it over Cuba. What this graphic doesn’t show is the global model tracks for this system. Most of them take this system on a more southerly track to the southern tip of Florida, or just south of Florida, and into the central Gulf. But this system hasn’t even developed, so all options are on the table. Sea surface temperatures are quite warm, so we’ll have to watch this system over the next few days. 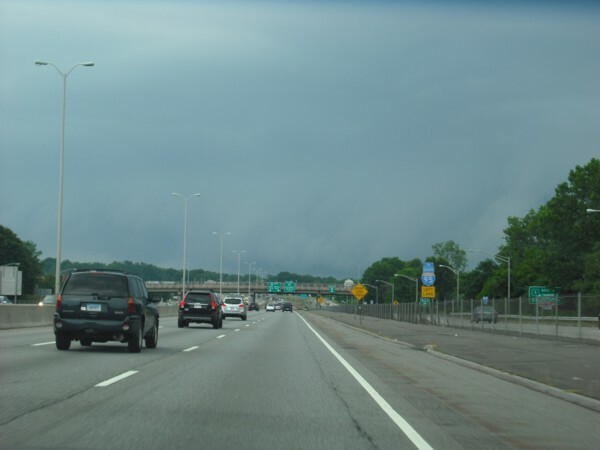 This morning a line of strong storms moved through western Connecticut. 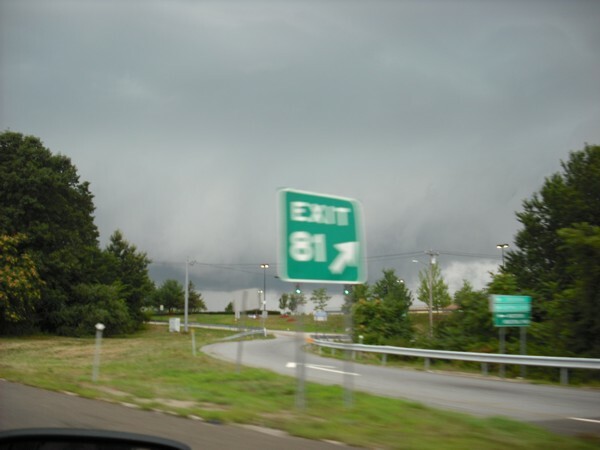 Steve Barabas took the following pictures near Southbury, CT. While at work in Westport, CT this morning, I had a chance to go outside and look at the storm for a few minutes. I could see parts of a very well defined shelf cloud to my west, but the trees almost completely obscured by view until the storm was nearly on top of me. Taking a picture would have been fruitless. 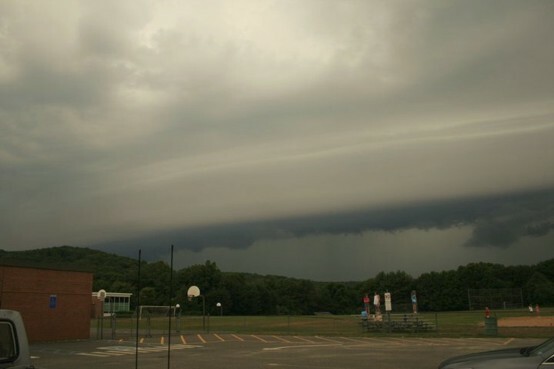 But I have to say that for a Connecticut storm, this was quite a spectacular shelf cloud. It had very photogenic striations above the base of the cloud, which is something I have never seen up here before. Not bad CT, not bad at all. Not to take anything away from Steve’s photos, but unfortunately, the photos from Southbury pail in comparison to what I saw in Westport. It seems the storm was just more intense closer to the coast. 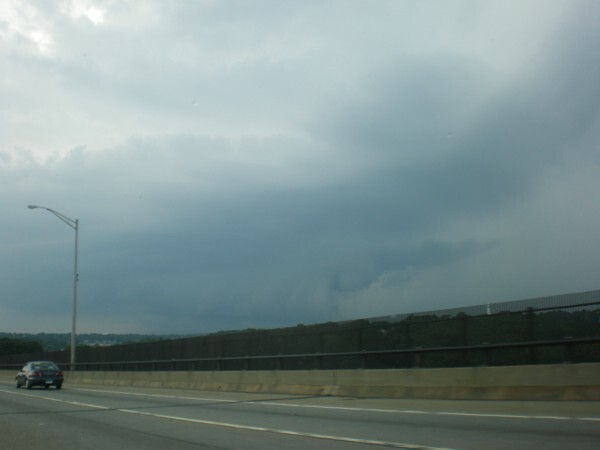 The shelf cloud was more defined and the striations were spectacular – even for non-CT standards. 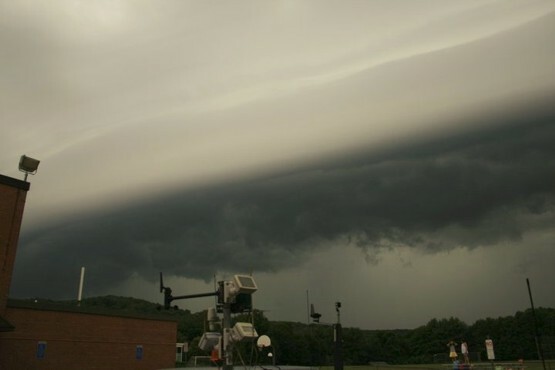 This says just how intense this shelf cloud really looked, because Steve’s photos are great. I’m experiencing some dejavu, is anyone else? Yesterday was a great tornadic supercell setup, yet there were only 7 confirmed tornadoes. And from reading the actual text reports from the SPC page, it sounds like none of the tornadoes were large, and none of them lasted for more than a couple minutes. To me this is very surprising, especially considering the wind shear and instability that was present for this event. 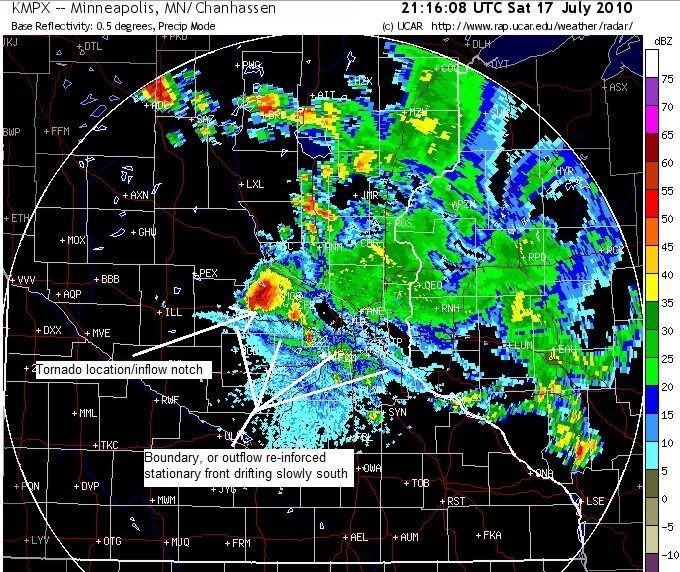 Think back to Wednesday (July 14), the most recent Minnesota tornado setup. In total number of tornadoes, it eclipses yesterday’s event, despite having a seemingly weaker low and mid level shear environment. 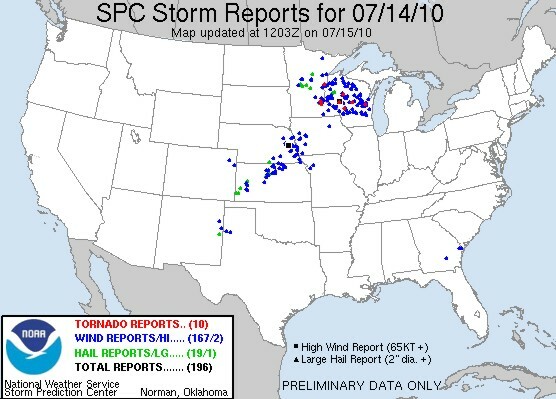 But both events failed to produce a good, long track or large tornado across Minnesota. Once again, damaging straight line winds were main event, so to speak. One supercell did manage to ride the boundary in central Minnesota for a while. But the storm was later undercut by the boundary, and that may be the reason why that particular supercell did not produce more large or even long track tornadoes. What’s strange is the storm looked very impressive early on, with an intense core and a hook echo (see the first radar image below). Although, the first tornado wasn’t even reported until over an hour later. Even more interesting is the first tornado was reported after the storm crossed the boundary. As you can see in the radar image above, the supercell is now on the north side of the boundary, or fine line shown on the radar. What has happened is the outlfow from all the other showers and thunderstorms well north and east of the stationary front have brought rain cooled air to the surface. This has re-enforced the stationary front, causing it to drift southward. As a result, the tornadic supercell is now on the north side of the boundary, and likely in a much more stable environment. This is when the storm produced its first tornado! The storm continue southeastward, remaining north of the boundary, producing relatively weak, short lived tornadoes. The fact that it remained north of the boundary is one good reason why the storm didn’t produce any notable, large or long track tornadoes thereafter. But the question remains why the storm didn’t produce any tornadoes before it crossed the boundary! This why Vortex 2 was out chasing these things all spring. Maybe one day we’ll have the answer…. I’m a little behind in following today’s setup (for various reasons), but here is what’s happening and what is about to happen. Yet another supercell/tornado setup is unfolding as I type across central Minnesota, only this time the potential for tornadoes (IMO) is greater than what we saw a few days ago in the same area. Once again, an intense upper trough is moving eastward over the top of a heat ridge centered over the southern U.S. The combination of strong wind shear, deep low level moisture and extreme instability will bring the potential for severe storms and supercells across Minnesota this afternoon into tonight. These storms will be cable of producing tornadoes, some strong, in addition to large hail and damaging winds. 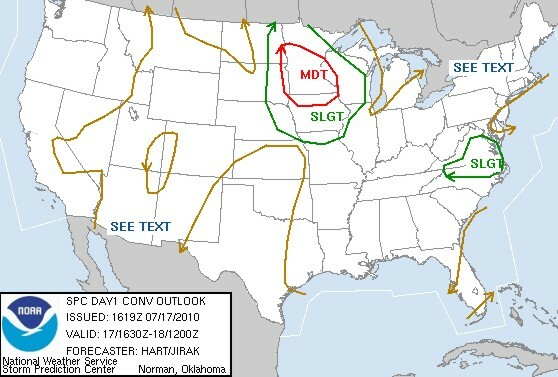 Because of this severe threat, the SPC has issued a moderate risk across portions of Minnesota and northern Iowa. 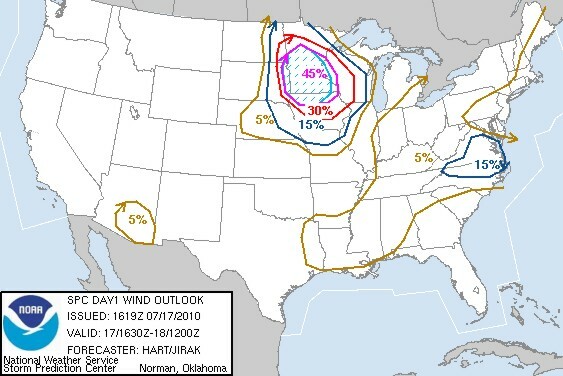 In the graphic below, you can see the SPC has issued a 10% risk for tornadoes across central Minnesota. However, they have a 45% hatched area for damaging straight line winds. The tornado risk per their forecast is lower than what we saw a few days ago. But like the previous setup, they believe damaging winds are the main threat. For today’s setup, however, the 0-3km and 0-6km shear looks more impressive. For instance, the 850mb winds by 00z are forecast to be southwest at 35-45 knots. Meanwhile, the 500mb winds are indicated by the RUC/WRF to be westerly or west-northwesterly near 50-55 knots by 00z. Finally, surface flow is generally southerly on the south side of the front. Basically, you have significant speed and directional shear in the 0-3km layer, as well as the 3-6 km layer. This is an excellent breeding ground for tornadic supercells! Finally, surface winds are backed along the stationary front over central Minnesota. This front will serve as one of the primary focus points for thunderstorm initiation this afternoon and this evening, as the upper trough moves into the area. Also, the front is draped northwest to southeast. This orientation may allow supercells to move parallel to it, increasing the tornado potential this evening. Finally, CAPE values are expected to be quite high, ranging from 3000 – 4000 j/kg or greater. All of these ingredients (IMO) indicate a 15% hatched area for tornadoes is reasonable across central Minnesota, along the front. Good luck to any chasers up in Minnesota today. This could very well end up being a big tornado day, and I will be surprised if I don’t see some good tornado footage from this event online in the coming days. There were 10 tornado reports from Minnesota to Wisconsin yesterday. Although, some of those are probably duplicates. At any rate, a few tornadoes occurred as expected. But, I am a little surprised there are not any reports that would suggest a violent tornado occurred. Such as significant damage or maybe even a report of a large tornado from a storm chaser. I wasn’t able to watch the event unfold yesterday. 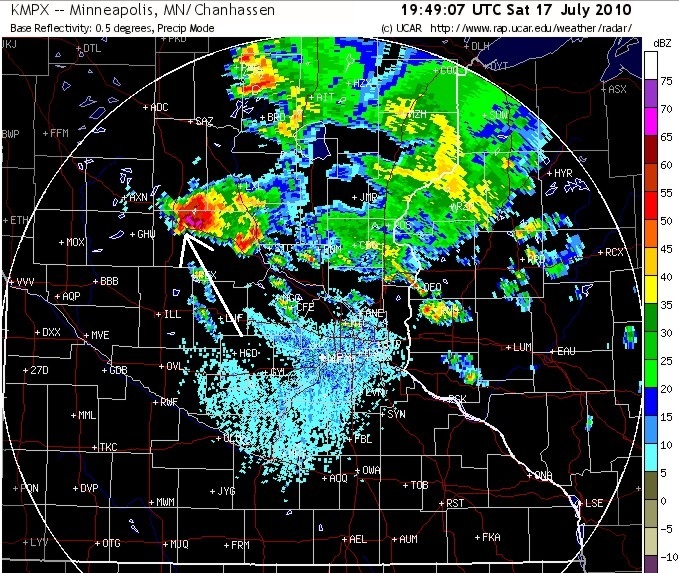 But from looking at the radar archive from UCAR, many storms formed into line segments or a squall line rather quickly across eastern MN. 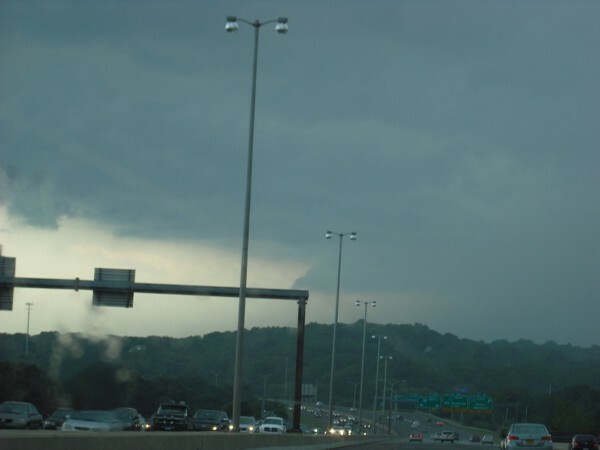 The supercells that formed ahead of the line were responsible for producing the tornadoes, in addition to the initial supercells that developed before the squall line developed. This falls mostly in line with what I thought might happen. But, I really did expect more time for discrete supercells and tornadoes before the squall line and MCS activity really took shape. In the end though, damaging straight line winds was the main impact from this event. Actually, the highest concentration of damaging winds occurred inside the SPC’s 60% damaging wind area. Not only that, numerous reports of winds in the 65-75 mph range are shown on the storm reports page. These reports included information like “large trees down”, or “numerous trees down”, or “trailer flipped over”. Basically, the high wind forecast verified with flying colors. The tornado forecast verified, but not as well. 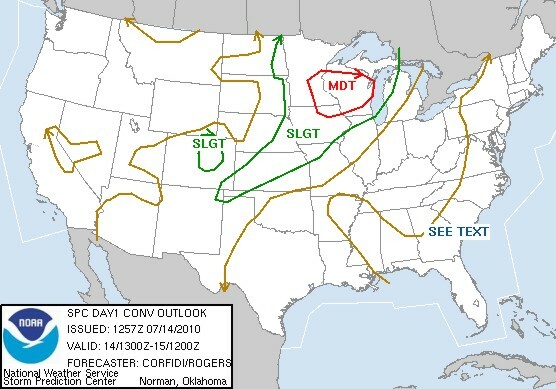 A pretty classic summertime tornado and severe thunderstorm setup is unfolding today across the upper Midwest. Namely eastern Minnesota, northeastern Iowa and western Wisconsin. As a result, the Storm Prediction Center (SPC) has issued a moderate risk for severe thunderstorms. An upper level disturbance is moving through the region, over the top of a large ridge of high pressure. This ridge will be responsible for surface temperatures soaring well into the 90s today across the region. But later this afternoon into this evening, thunderstorms are expected to develop along a cool front over central Minnesota and Iowa. The combination of extreme instability (with CAPE around 4000-5000 j/kg or greater) and strong wind shear will promote the development of supercell thunderstorms, capable of producing tornadoes. Some of these tornadoes could be violent. The tornado threat is highlighted in the second graphic below from the Storm Prediction Center, with a 15% hatched area for tornadoes. But, what’s most interesting to me about this forecast is the 3rd graphic, indicating the probability for damaging winds. 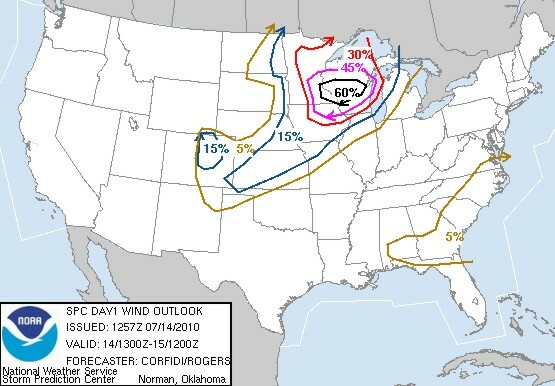 Notice the 60% area for damaging winds over eastern Minnesota and Wisconsin. Now, I’d have to do a bit of digging, but I can’t recall a time I’ve ever seen a 60% chance for any type of severe weather on a day 1 convective outlook, let a lone one for damaging winds. In reading their discussion, the SPC seems to be expecting a high end damaging wind event tonight in the 60% area, as they expect supercells to organized into a derecho. 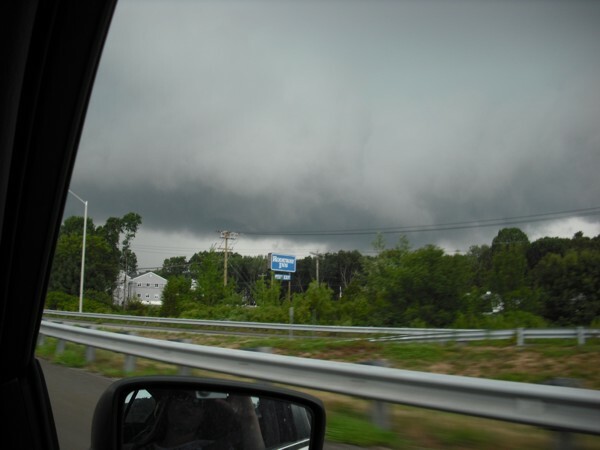 A derecho is basically a violent, large scale, long lived squall line or MCS. These produce very strong straight line winds over a large region. It would be very interesting if both violent tornadoes and a derecho occur from this event. The tornado threat is one you would expect from this setup. CAPE values forecast by the RUC model are literally off the charts, with a large area of 8000 j/kg and some areas in the 10,000 j/kg range! This model is notorious for overdoing CAPE forecasts. However, with dewpoints in the upper 70s to lower 80s and surface temperatures well into the 90s, CAPE values in excess of 5,000 j/kg are not out of the question. As for the derecho occurrence, the strong 700mb winds and the very dry air at that level would certainly promote such an event. Thursday, 8 July 11:00 a.m.
IS JUST OFFSHORE OF THE EXTREME SOUTHERN TEXAS COAST AT THIS TIME. APPROACHING TROPICAL STORM STRENGTH ARE OCCURRING IN SQUALLS. So basically, they don’t know where the low level center is located. In addition, they didn’t give any specific information about what the aircraft found, which leads me to believe it didn’t find an actual circulation center. This would normally mean the system is not a tropical depression. However, there are certain political implications at stake, since this system is currently approaching the south Texas coast. If this system were out in the Atlantic, it would probably not be declared a tropical depression. Looking a the Brownsville radar, a very weak, ill defined circulation is seen about 50 miles southeast of Brownsville. This continues to be the only piece of evidence, IMO, that suggests this system is indeed a tropical depression. But, since the aircraft couldn’t find a center, I am very skeptical indeed. The tropical disturbance over the southwestern Gulf of Mexico finally got its act together late last night. This resulted in the National Hurricane Center issuing advisories on the second tropical depression of the season – Tropical Depression Two. But the thing is, thunderstorms associated with this system completely fell apart early this morning. Around 5 a.m. EDT, the depression looked like nothing more than a tropical wave, with a mid level circulation drifting away. Nevertheless, the NHC’s 5 a.m. advisory insisted this system remained a tropical depression overnight. But, their discussion indicated their lack of confidence. They also mentioned how a reconnaissance aircraft would be in the area to investigate the depression in a few hours. I have yet to see the data from this aircraft, or see any mention of it from NHC since their early morning advisory. So, where is the data? At any rate, the depression is expected to make landfall later today across extreme south Texas, near Brownsville. From the Brownsville radar around 9:30 a.m. this morning, a weak circulation is evident offshore. This is probably enough evidence to say this system is now a tropical depression. But who knows…maybe the circulation died for a few hours overnight and then re-generated. At any rate, Tropical Depression Two is going to dump tons of rain across south Texas, regardless of it’s official status. The other story continues to be the impressive heat over the Mid Atlantic and Northeast. Most major cities from D.C. to NYC reached over 100 degrees yesterday, with mid and upper 90s across New England. The humidity was higher in some of these areas compared to Tuesday, which made for an unbearable day outside. I’ve had just about enough of this heat, as I’m sure most of you up here have too! I don’t have anything special to say about the heat, other than to simply state first hand that it is indeed very hot outside today. It’s 98 degrees outside here in Connecticut, something I haven’t had to endure in a long time. Heat waves are not as frequent up here in New England as they are in Houston, where I use to live. So, walking outside in near 100 degree heat is a bit more difficult today than it was a few years ago! I guess I’m just more accustom to the winter cold now than the summer heat. What’s really impressive is the extent of the heat. Boston hit 100 degrees around 1:45pm EDT before the wind shifted to the northeast, bringing the cool air from the ocean inland, cooling them to 90 degrees. New York City hit 101 degrees, with numerous other cities from Virginia to Vermont hitting between 98 and 102 degrees. D.C. also breached the century mark today. The other story is the tropics. A a tropical wave, with numerous showers and thunderstorms, is exiting the western Caribbean and crossing over the Yucatan and the southern Gulf of Mexico. Should this tropical wave get it’s act together over the next couple days, it has a chance of becoming a tropical depression over the western Gulf later this week. Otherwise, it doesn’t look like this system will amount to anything significant. Wind shear needs to relax a bit. Also, there won’t be enough time for this system to strengthen once the wind shear does relax before it reaches the western Gulf coast. Although, I guess anything can happen. Hurricane Alex strengthened significantly right before landfall over Mexico (just as I worried he would). So, you can’t really write off any system completely that shows potential in this kind of environment until it goes over land. We’ll see.